St. Vrain Creek near Longmont, Colorado flows through its new channel at Sandstone Ranch. Along its course from Rocky Mountain National Park to the plains the river left its banks. Here it carved a new channel through a series of empty gravel pits. Luke Runyon visits sites along St. Vrain Creek. After the flood, Sara Rathburn, a fluvial geomorphology professor at Colorado State University, recalls feeling disoriented along the Big Thompson River in its canyon downstream of Rocky Mountain National Park. Fluvial geomorphology is, put simply, the study of what happens when water and land meet. Rathburn grew up in Boulder and has spent countless hours hiking Front Range foothills and canyons and holds an intimate knowledge of how these rivers look and function. Colorado State University professor Sara Rathburn (left) and city of Longmont water resources manager Ken Huson stand along the banks of North St. Vrain Creek. As the anniversary of the 2013 floods approached, I asked Rathburn, an expert in how floods change landscapes, to take me to a few places along the Front Range that illustrate just how differently things look now than they did before the flood. She said to really see the lasting effects of the storm, we should visit North St. Vrain Creek upstream of Ralph Price Reservoir, the city of Longmont’s main drinking water supply. The reservoir is held in place by Button Rock Dam. The floods put it to the test — not just by the massive influx of water, but the trees, boulders and sediment carried downstream. Sand bars made of chunks of cobblestone the size of sourdough loaves were left the reservoir’s delta, where the creek empties into the lake. Rathburn and her students, including graduate researcher Johanna Eidmann, have worked to figure out the floods’ impact on the reservoir. According to their estimates, the amount of sediment deposited in the lake during those four days of rain in September would normally take 100 years to build up. From above you can see the changes. An area that was once a backwater for the reservoir completely filled with sediment carried downstream, a product of the nearly 100 landslides the creek’s watershed saw between the reservoir and Route 7 near Allenspark. Ralph Price Reservoir, the city of Longmont's main drinking water supply, was inundated with sediment during the 2013 Front Range flood, turning the water a chocolate brown color. Note the reservoir's delta where sand bars of boulders, cobblestone and sediment still remain. Along the creek, the flood waters became charged with sediment. As the water churned, the sand and rock-laden mixture scoured the creek bed and widened it. Like taking a piece of sandpaper to a cutting board, vast reaches of St. Vrain Creek were reduced down to bedrock, all soil and vegetation swept downstream. It’s easy to think of floods purely as destructive, especially as people have built more structures in floodplains. But Rathburn cautions against that thinking. Rathburn (left) and Huson walk along North St. Vrain Creek before it empties into Ralph Price Reservoir. The creek is lined with rock-filled sand bars left at the delta during the September 2013 floods. We stopped by the reservoir’s ranger station to meet with Jamie Freel. He’s the city of Longmont’s watershed ranger and manages the preserve that surrounds the reservoir. For most of the year he lives alone there, surrounded by rocky slopes and evergreen forests. In September 2013 he was on duty. Freel watched as the reservoir he’s tasked with overseeing turned the color of a “mocha latte.” It was filling so quickly the spillway was needed to lessen the pressure on the dam. Before the flood the spillway channel looked like “a Coors ad,” a gentle cascade of lichen-covered rocks, trees and shrubs. As the rain continued the spillway raged so violently helicopter pilots flying out residents in the foothills could see it from miles away. Whitewater rose so high rescuers nicknamed it “the angry dam,” and used it as a landmark to coordinate rescues. I ask Freel if -- five years later -- he still thinks about the flood. Not in a deep way, he says, but he has to think about it in some way every day because he’s still working on recovery and restoration projects. Until the anniversary comes each year. “My body (remembers) every year. I go through -- I wouldn’t say it was PTSD -- but there is a definite cell memory to the beginning of September. I feel awkward at the beginning of September,” he says. More than 100 landslides along North St. Vrain Creek upstream of Lyons charged the stream with sediment that was then deposited along the channel for miles as the flood waters receded. Downstream, near the city of Longmont, Rathburn and I chat with Ken Huson, the city’s water resources manager. We stop on a pedestrian bridge over St. Vrain Creek in the Sandstone Ranch nature preserve. It’s a wide, shallow stretch of the creek. While we talk a dozen or so bicyclists ride past. Before the flood, the river didn’t flow here. It was a couple hundred yards away. But the flood forced it to change course. “Right here during the flood you basically had a half mile wide of chocolate brown water,” Huson says. During the flood St. Vrain Creek jumped its banks near Sandstone Ranch and carved a new channel through spent gravel pits. During the flood, Huson took a helicopter up to Ralph Price Reservoir to make sure the dam was holding. From the air he saw rivers and streams jump their banks, carving new channels and abandoning their old ones. “The toughest part was flying almost to Lyons and I saw someone’s house floating down the creek, and starting to turn and tear and -- knowing it was someone’s house -- watching it being destroyed right underneath you was really hard,” Huson says. He says systems can be rebuilt and the landscape can change, but its the human impacts of the flood that remain the hardest to comprehend. On July 28, 1997, Chris Wolf was one of two officers on duty with the campus police at Colorado State University. It was summer, and the campus was gearing up for the fall semester. Wolf was eating pizza for dinner at a local restaurant with another officer when the rain began. “And I said something like, ‘Boy, it sure is raining hard,’ never realizing what the next several hours would bring,” he said. The last week of July has seen two of the most severe floods in Colorado’s history - and that’s not a coincidence. Both floods began at night and both had devastating consequences. 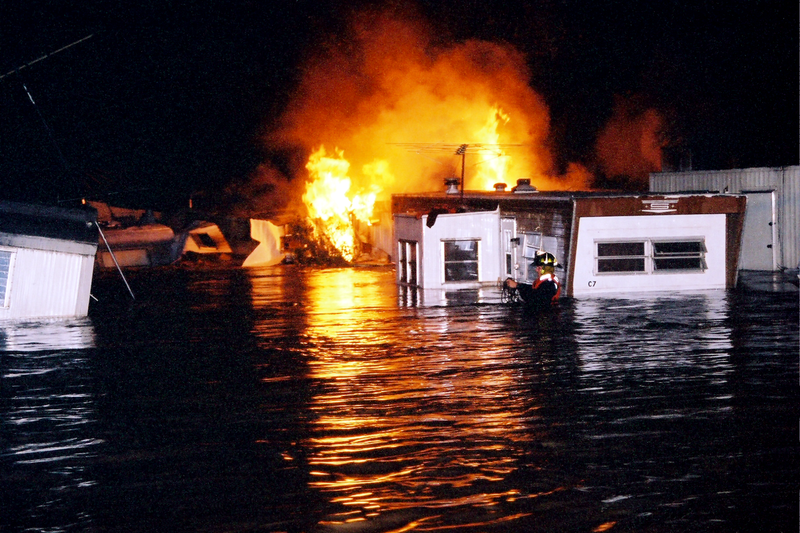 On July 28, 1997, the heaviest rain ever recorded in an urban area of the state caused millions of dollars of damage to areas of Fort Collins and killed five people. 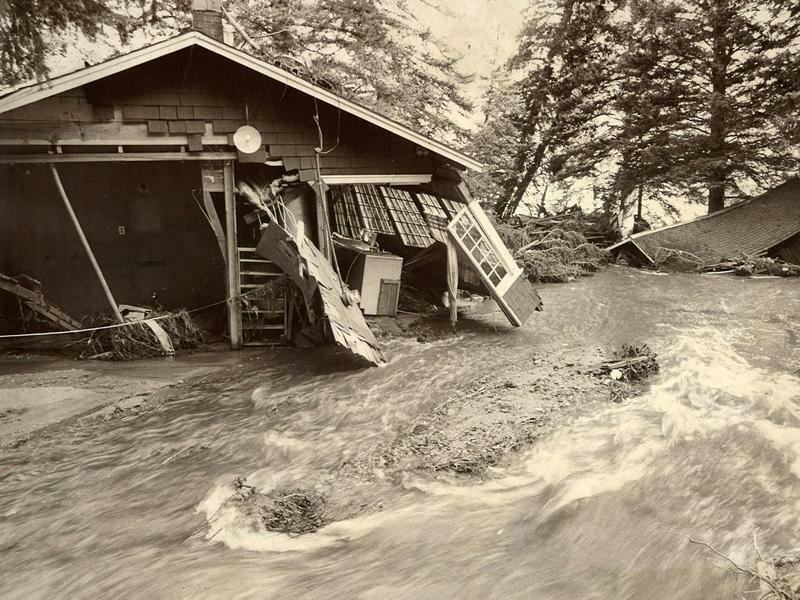 What became known as the Spring Creek Flood came two days short of the anniversary of the Big Thompson Flood of 1976, when at least 12 inches of rain fell over four hours in the mountains below Estes Park. In the subsequent flooding 143 people died. 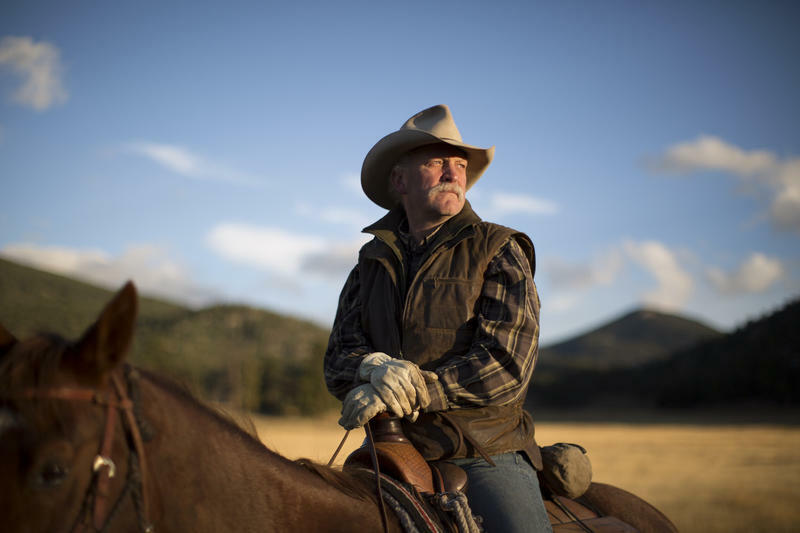 On a September evening in 2013, Tim Resch, owner of Estes Park Outfitters, was with a handful of clients on an elk hunting trip on Twin Sisters Mountain in the Roosevelt National Forest. His business caters to out of state hunters who are attracted by the area’s reputation for big bull elk. That night, it started raining. And it didn’t stop. “When that flood really broke loose, I couldn’t get to my horses, couldn’t get to my trucks and trailers," he said. "I was in awe, I’ve never seen anything like that."